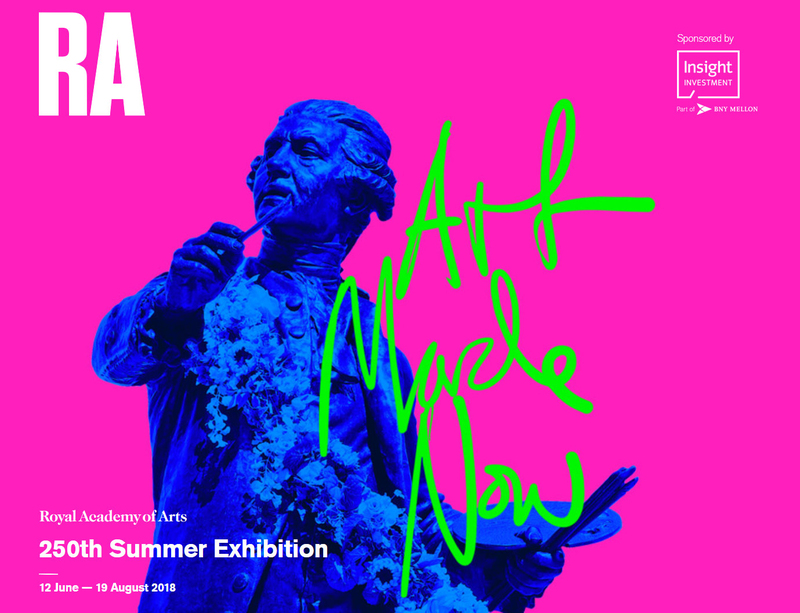 Royal Academy of Art 250th Summer Exhibition – Art, Food, Travel and Fashion! Each summer our galleries are jam-packed with contemporary art made by internationally renowned artists and exciting new talent. This year, Grayson Perry RA and his committee of fellow artists have handpicked over 1,300 artworks in an array of mediums. The exhibition extends across our newly-expanded cultural campus, with prints on display in The Sackler Wing of Galleries and a “room of humour” in the new Ronald and Rita McAulay Gallery featuring David Shrigley and Martin Parr. The art extravaganza even spills out into the streets of London’s West End, with an installation of over 200 flags designed by Royal Academicians. Come along with a sketchbook on a quiet Monday morning, have a drink with your friends in the galleries on a Friday night, bring the family to our free weekend festival or join our biggest ever RA Late in full fancy dress. As always, most of the art is for sale and purchases help raise money for the Academy’s non-profit-making activities, including educating the next generation of artists in the Royal Academy Schools. ← Mayfair Art Weekend 2018 Programme Announced!